I recently completed this vignette for a showroom in Tucson, AZ. Amy and I had the opportunity to collaborate together on this project from design through installation. We had the challenge of creating a warm and inviting focal point in a very large showroom environment. 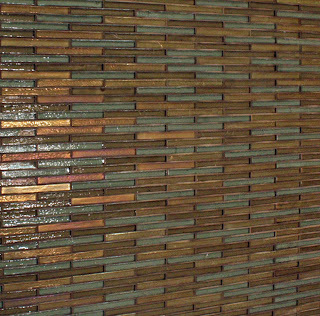 To do this, we selected Oceanside Glasstile's 'Prose' Mosaics in a 1/2" x 4" offset pattern because of the tactile characteristic of a linear module. I would highly recommend this glass tile product for any focal area. From a distance, this installation appears as if it could be a woven textile, but coming closer, iridescent flashes give away the fact that it's actually thousands of shimmering glass tiles. Pre-existing granite countertops directly influenced our color selections, the favorite being a blue-grey accent we found running through dark veins in the stone. 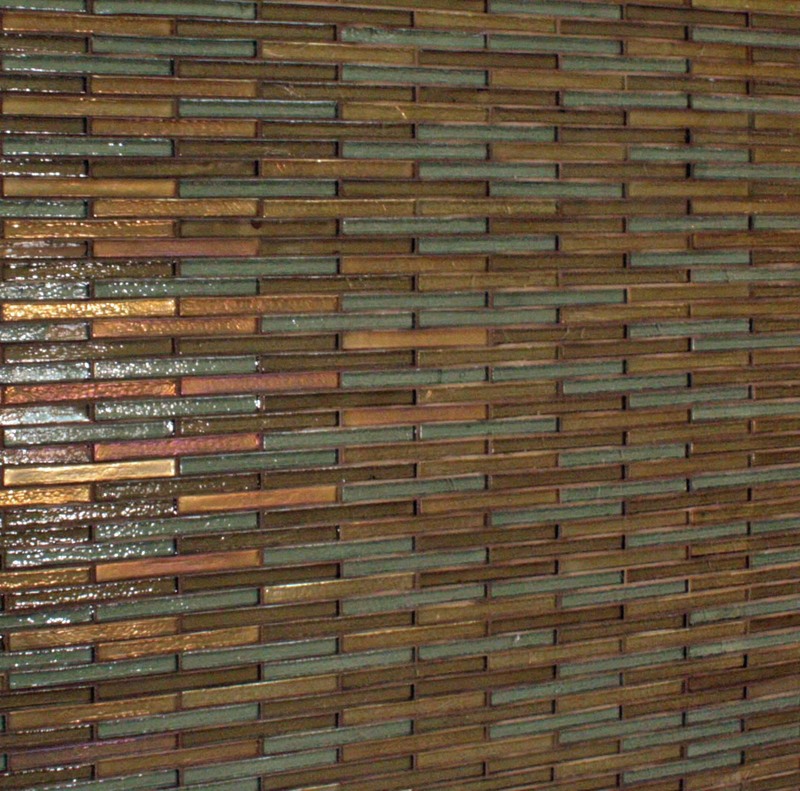 We used a combination of iridescent and non-iridescent finishes to create a sense of undulating texture. 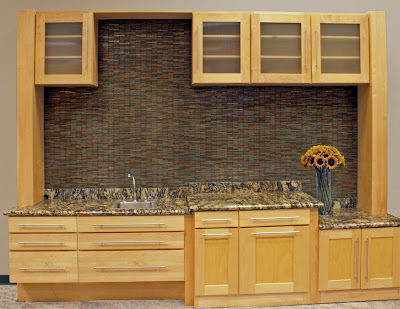 The finished product is rich, warm and inviting, even in a large and open showroom environment. We love it!